Adorable brothers need a forever home! These two sweethearts are good friends and enjoy racing and burning off their what seems like endless energy! Since arriving in care and being Desexed they’ve calmed down and are much keener to be picked up and cuddled. When you see them your heart may even melt a little as they plead with you to be picked up and snuggled. Treats are of high interest to these two and they’ll be over in a flash when treats are on the cards. They’re only small boys, but are oversized for Netherland dwarfs, still very manageable for cuddles though! They’re entertaining, adorable, playful & most of all waiting for you to adopt them! 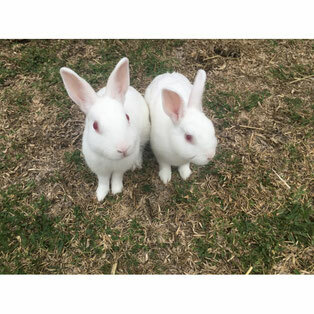 If you are interested in giving Bugsy & Bunnykins their perfect forever home, please message Furry Friends Forever Rescue to complete our online expression of interest form.